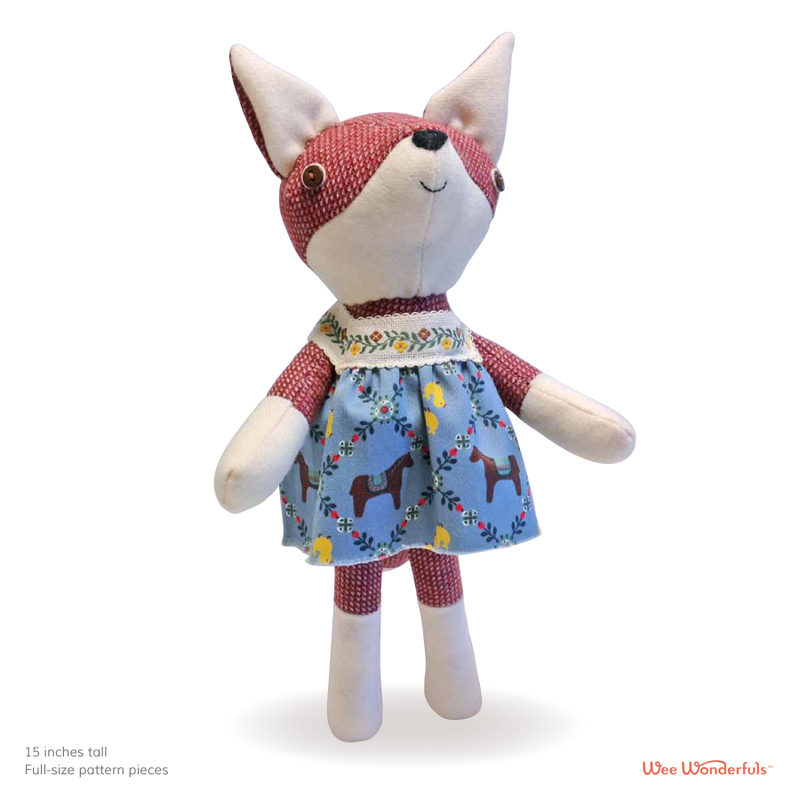 This wonderful woodland creature is as cute as she is clever. 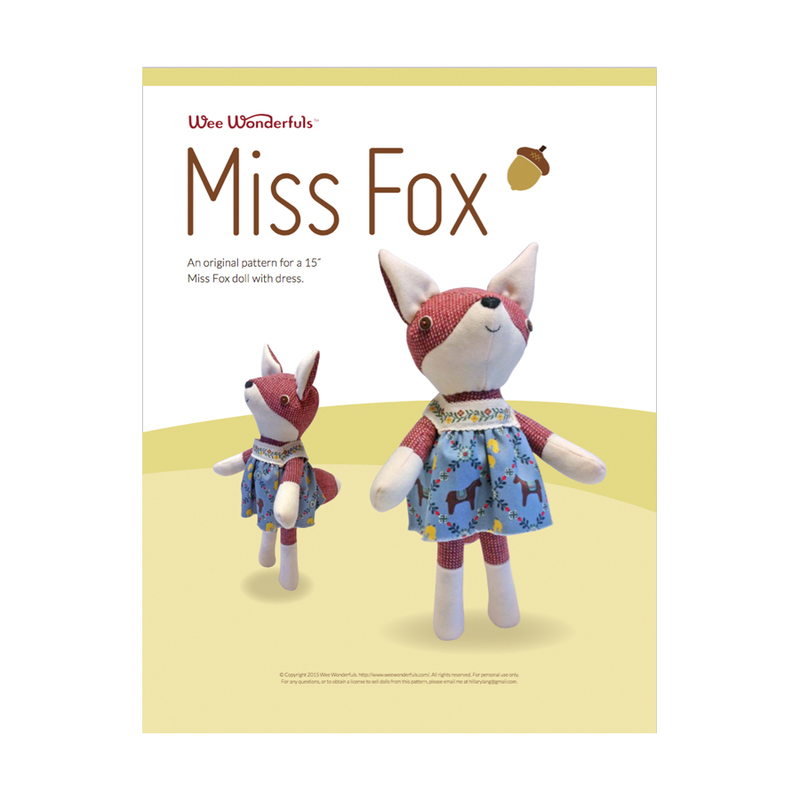 Miss Fox stand 15" tall with big bushy tail and dress, perfect for a stroll through the forest. Original pattern with full-size pattern pieces. 10 pages.